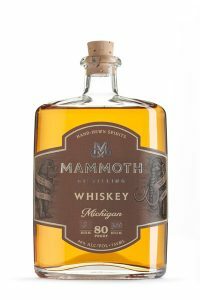 "Mammoth Wine-Finished American Whiskey is first distilled and aged for five years in Kentucky, then finished at our Central Lake facility in once-used Grand Cru Merlot barrels from Bonobo Winery in Traverse City. Crafted to be very smooth and easy to drink, the unique notes created by the wine finishing has quickly made Mammoth Whiskey a favorite of many whiskey drinkers." Mammoth American Whiskey has an elegant, warm beeswax nose with notes of fresh-shucked corn and honey. The wine casking produces a long, smooth finish. 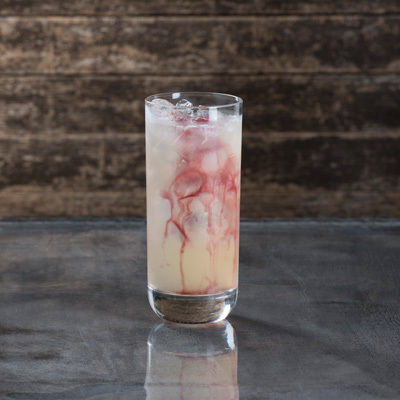 Below are a few of the cocktails we serve that feature Mammoth Whiskey. Want to try one at home? Click an image for the recipe! Or, inquire about one of our mixology classes.